Firstly, I want to personally thank all my present and past clients who have taken the time to write a short testimonial on my behalf. Future clients are always given a Buyers/Sellers Package and I always include my latest testimonials with contact information. As a Realtor, I think new clients always are skeptical of salespeople in general and sometimes just a short wee note from someone who has worked with you before, sets their minds at ease. The rest is up to you. Here is a few that I have received over the years and they are on my website for anyone to view. 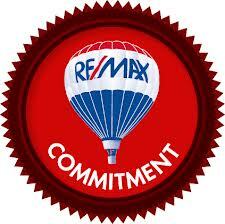 If you are a Realtor, encourage your clients to evaluate your efforts. It is always nice to hear what they think of the experience as well as useful in future marketing. It goes back to the same old thing. People may not remember WHAT you said, BUT they will always remember, HOW you made them feel !! Treat every client like they are your only one !! You won’t be disappointed with the results and neither will they. To your success everyone ! Testimonials!! Thank you !! Importance of Using Them for Your Business ! Firstly, I want to personally thank all my present and past clients who have taken the time to write a short testimonial on my behalf. Future clients are always given a little book and I always include my latest testimonials with contact information.